The FT232R family ICs available in TME's offer are integrated, bidirectional hardware USB-serial UART interfaces. Their die "contains" the whole USB protocol, thanks to which their implementation is easy and doesn't call for sophisticated programming knowledge. Furthermore, FTDI provides all the necessary drivers for Windows, Linux, Mac OS, Android and other OSes (their full list is available at FTDI website). operating temperature of -40°C to +85°C. 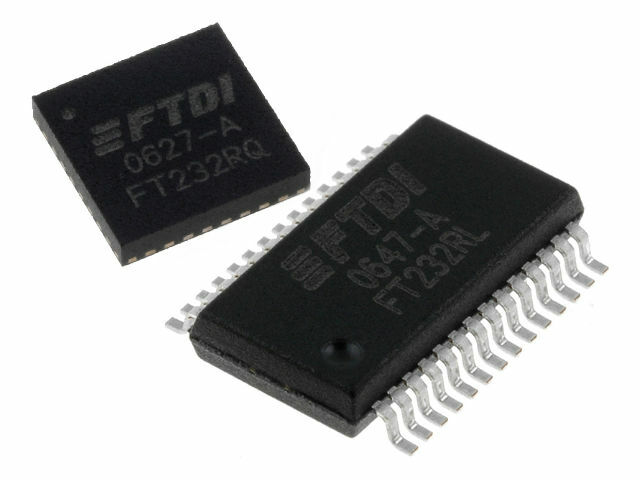 FTDI ICs are used in various USB-RS232 / RS422 / RS485 converters, microcontroller systems, data transmission, card readers, barcode scanners, and MP3 players.